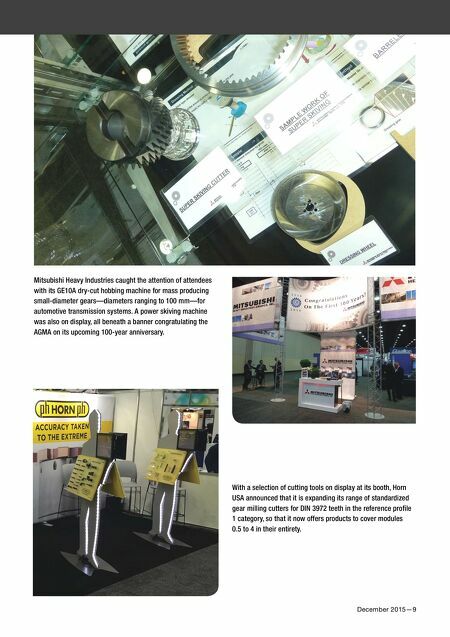 December 2015—9 Mitsubishi Heavy Industries caught the attention of attendees with its GE10A dry-cut hobbing machine for mass producing small-diameter gears—diameters ranging to 100 mm—for automotive transmission systems. A power skiving machine was also on display, all beneath a banner congratulating the AGMA on its upcoming 100-year anniversary. 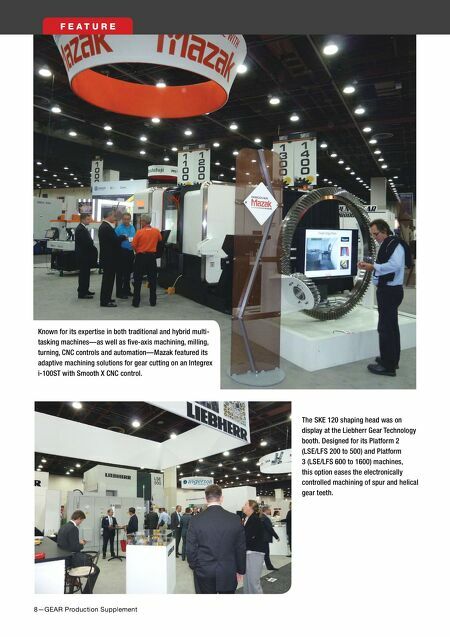 With a selection of cutting tools on display at its booth, Horn USA announced that it is expanding its range of standardized gear milling cutters for DIN 3972 teeth in the reference profle 1 category, so that it now offers products to cover modules 0.5 to 4 in their entirety.